Awesome quality sunglasses from XX2i. They were used for cycling and walking and since GB have had some great weather, they were used alot. Putting them on was like heaven, they feel great and did their job wonderfully. They were so comfortable, one of the best pairs of glasses we have tried out. 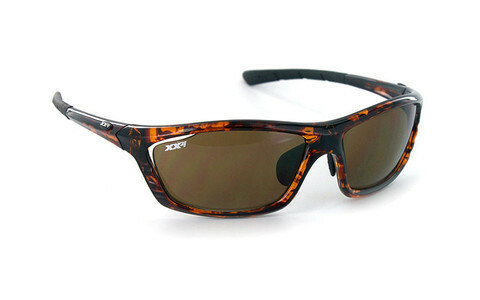 XX2i USA1 Pro Racing Sunglasses comes in Demi Tortoise Gloss with Laser Brown lenses. Included with these frames will be a tank protector case and one microfiber soft carrying bag that can also be used as a cleaning cloth.Features on these sunglasses are perfect for running, cycling, golfing or just about any activity that requires the sunglasses to stay on your face and remain fog free.